One of my favorite blogs is Brooke Giannetti’s Velvet & Linen, and I’ve been in love with her beautiful house in Santa Monica for a long time. She’s married to the talented architect Steve Giannetti, and they designed it together. 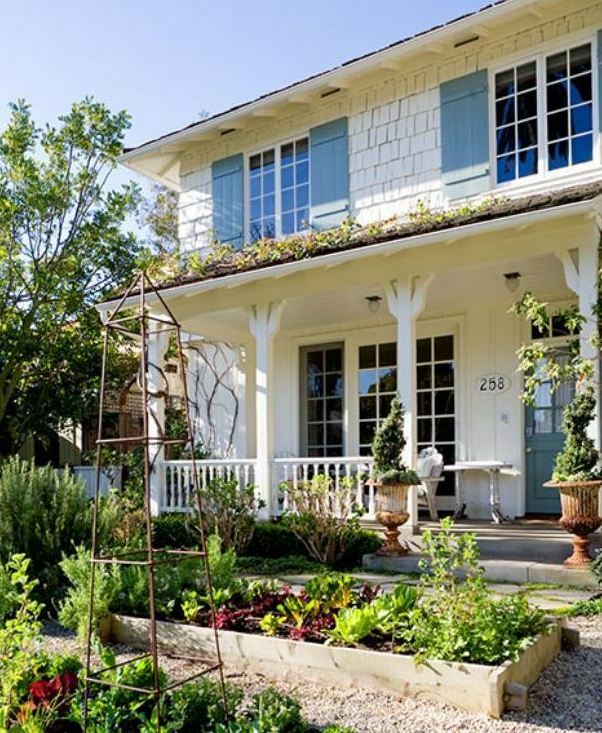 Now they’re moving on and selling this charming home, which was inspired by the shingle-style California cottages of the 1930s. 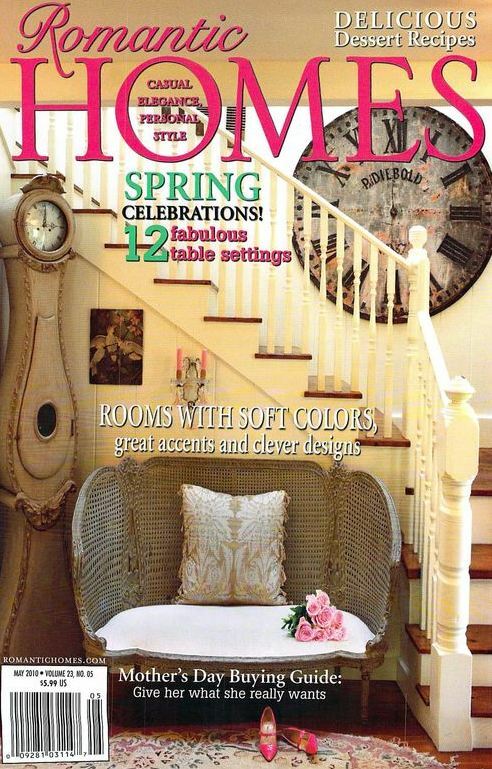 This is how it looked when it was featured in Romantic Homes magazine (above). The house has 5 bedrooms, 5.5 baths and 4,200 square feet. The house has been widely published in magazines like Romantic Homes. Wonderful house, so so lovely -like it! I think the elegant wood floors add a great finishing touch as do the elegant French doors and almost Bay windows designs. And I adore the floor change to patio-style tile in the work room….just well done all around. I could spend several happy days camped out in their family room snuggling on that couch and looking out the french doors (or tv :). I have been a fan of Brooke’s for a while, and also have her book. Some of these pictures are new to me, thanks for sharing! I absolutely LOVE the flooring thruout the home! Can’t wait to see her “Patina Farm” finished! Oh it’s so sweet! Every room is a feast for the eyes! One of the most beautiful homes I have ever seen! Even the decor. Love it all! Too bad it’s in California and has neighbors five feet away. If I had 4 million to spend on housing, I’d want a little more land around my house, something with several acres. I like her collection of globes! I. Love. This. House. I covet this house. It’s gorgeous. I would purchase the furnishings as well. It doesn’t just look like a house but it’s a home! Absolutely my favourite home that you’ve profiled (so far….). Thank you, Julia. Instead of tackling a pile of laundry, I think I will sit down with me tea and wistfully browse through these photos. I agree Jennah!! I cannot stop staring at every single detail in every single room-while inside, I could imagine myself in a cottage in the English countryside. MY DREAM!!!!!!!! Thanks so much, Julia. P.S. I am enjoying the photos while watching my beloved Red Sox on tv. Is this heaven???? I could live here! sigh!! Thanks for the post. Have a great weekend. That gorgeous tree, the one showing throw the windows, must be tucked along the side yard somewhere. You can’t see it in the front or backyard pics, but I love how all those windows give a “tree house” effect. I could happily spend hours working, or let’s be honest- wasting time surfing the internet, in that office… that is if I could get out of bed in that beautiful bedroom or leave that gorgeous tub! Thank you, Julia, for sharing our house with your readers! 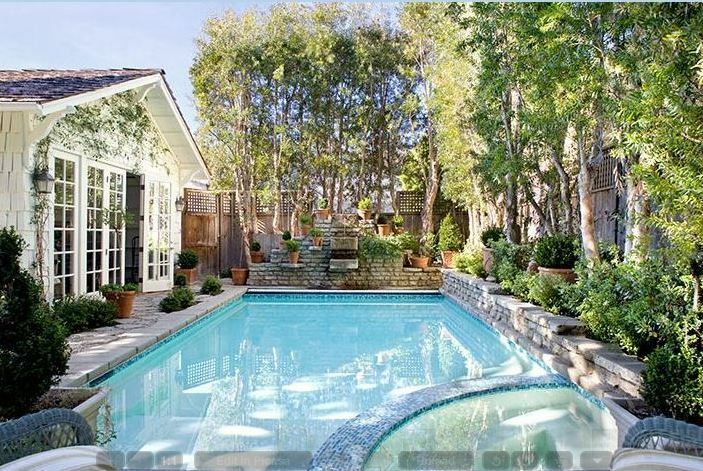 Yes, we will close escrow a week from Monday! The new owners will be raising their son here, which makes all of us so happy. We are now getting ready for a whole new adventure. The plans for Patina Farm have already been submitted for review, and we should start building in May. Great house! As a Realtor, I’m not surprised it is pending already. As a lover of great houses, I’m ready to move in! Gorgeous house! Everything was well done with the interior and exterior. If I had the money, I would buy this house in a heartbeat. Beautiful! I especially love the kitchen, family room and office. I would love this home until I was too old to climb the stairs! The window seats in almost every room, the light, bright “comfiness” throughout, the dinner bell in the kitchen, the awesome climbing tree in the backyard…..you know there has been at least one kid jump from there into the pool….I adore it all, but the big windows over the tub. But that could be fixed in a heartbeat! 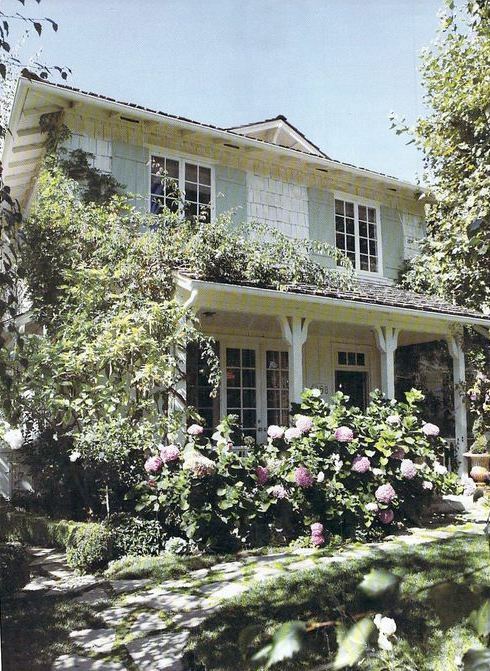 Beautiful and charming…I love the homes in Santa Monica…I did the Venice bungalow tour last year and blogged about it. A dream kitchen for sure! This is my dream home times 10! That kitchen, those built ins, the built-in daybed! Egads, I could move right in. btw, Does anyone know what kind of counter that is in the kitchen? I love the look and would love replicating it on a much smaller scale in my own (authentically) 20’s-30’s home. Wow Julia it is lovely and charming thank you for sharing. Regards Esther from Sydney. So I went back and took a peek at your original 2009 blog of this stunning home and what I found most interesting was comparing the two pics of the kitchen – then and now. What started out as a retro look with Fireking dishware, green glass knobs and a vintage tablecloth sink skirt is now a classic Restoration Hardware-look. Interesting how you can get a whole new look simply by switching out the small inexpensive stuff. A good lesson. Words can not describe the love I have for this house. A joy to behold! Wow..This house is everything I adore. The perfect mix of romantic and comfortable and elegant. I could live there forever. Thanks for the post. It started my day off in the best way. Wow. I would love this. 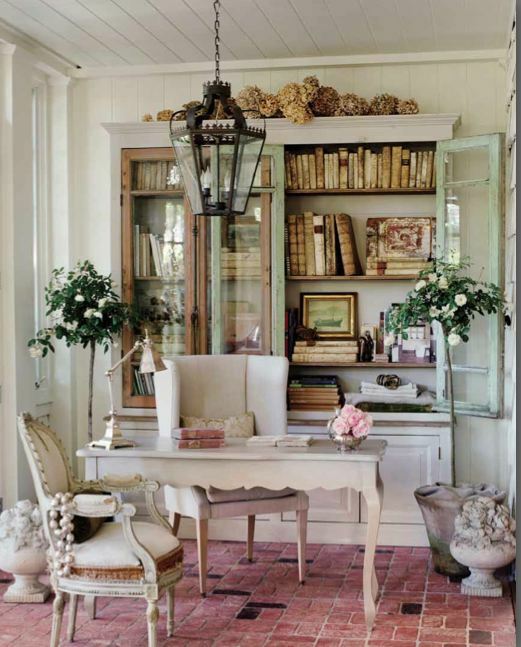 All the rooms are just the right mix of romantic with cool metal accents. 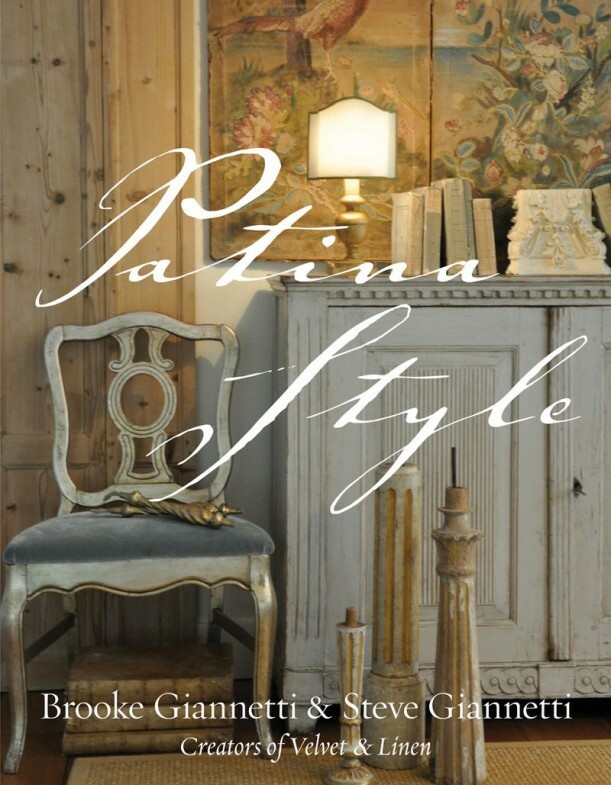 Love this for its cozy, casual and lack of fussiness.. And yet it has such style and personality. The old globes caught my eye. Definitely not a generic home but one with a stamp of individuality., with plenty of warmth ….from the wooden kitchen floors to the wicker and rattan boxes, coffee tables, etc. And 5 .5 bathrooms. Wow! Like many others have said, I’d love to have that house and everything in it. The windows have to be the best thing, I do like windows set in corners like that, it makes the light just pour in. The bathroom is perfect. The only thing that I’d remove are some of the decorative details and bring in books that are read and not looked at. The kitchen cupboards in front of the windows was a clever idea, how practical they are when washing windows, might be another question. A dream house, thanks Julia. Oooooh, there is nothing that I don’t like about this house!! Wow. So many architectural features that draw my eye. So much attention to detail. What a beautiful house. I love the open-ness and breezy feel of the kitchen. That’s niiiiice! I like the open kitchen and its knotty floor. It’s a beautiful house, although I have to say, I have a bathtub like that, with the fancy handheld shower. We thought we could use it while our other bathroom was being renovated and we didn’t have a shower. It was incredibly uncomfortable and inconvenient, especially in the winter when your whole body is freezing except for the six square inches of your body that are getting hit with the spray. And you can’t wash your hair without injuring your neck or spraying water all over the walls. Now I always laugh when I see those tubs presented as showpieces in real estate photos. Now where did I put that extra $4 million? I’d give ’em a full-price offer and ask that they leave everything with the house~! Me likey me likey! The house pictures were go gorgeous it led me to her website which led me to spend and hour browsing there and I forgot to come back and post how much I like her style and thanks for posting these pictures Julia! If I were single, I would marry that house…. Wow. That is the dreamiest home I have ever seen. I just asked my husband if he would buy it for me and he said yes, so I guess we’re moving. I’m jealous of the family that bought this beauty!! It’s a lovely home and I’m not surprised it didn’t last long on the market. I’ve always liked her style and am eagerly awaiting the chapters she gives us of her home-building work and design in Ojai. Thanks for this, it’s fun to see the cohesive images. I recall seeing the previous mention of her home and followed the link to her blog to see more pictures of her lovely home. I think it’s a more refined take on a California beach cottage and certainly much more spacious. It is very lovely. I love Brook’s house still. I went and reread my comment on the post and boy what was wrong with me? I must have been overcaffeined or something. Guess I really liked the house back then! I still do today though. Follow the links to her blog–she may have the info there!